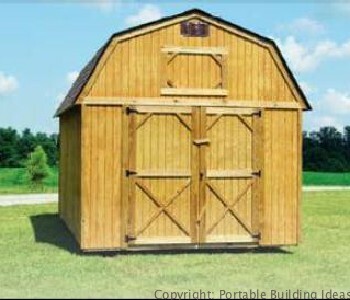 Purchase or Rent to Own your storage solution TODAY. 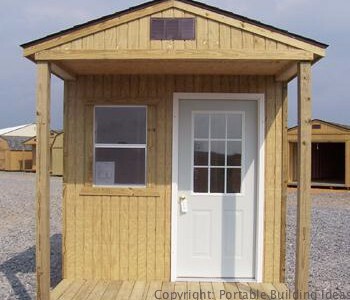 Doors are 2x4 reinforced and key locked for your protection. 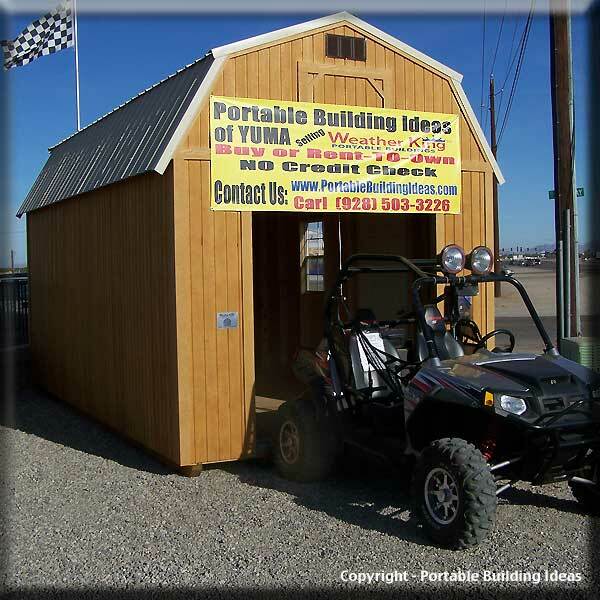 Serving Yuma, Parker and$Lake Havasu City! We Have Moved to a New location to better serve You! 10179 E. South Frontage Rd. Carl, Robert and I are very happy with our Weather King building. It was great working with you, never any problems, we even changed our order after it was processed and the change was done perfectly. I talked with transit and building departments during the production of our building and everyone was very friendly to deal with. Delivery of our building went very smoothly. Philip unloaded our building with ease and positioned it perfectly. The final check off list went without a hitch. The quality of the building is excellent. I would highly recommend Weather King building to anyone. THANK YOU VERY MUCH, Carolle B. 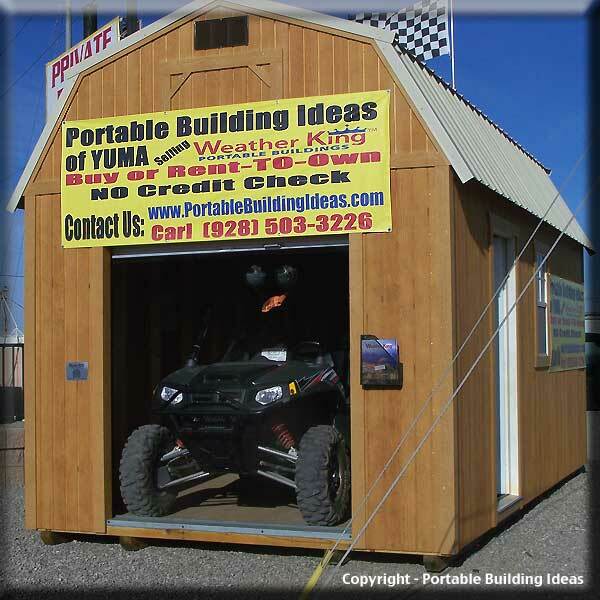 Portable Building Ideas of Yuma, AZ offers Weather King Portable Buildings, an ideal storage shed for many requirements. 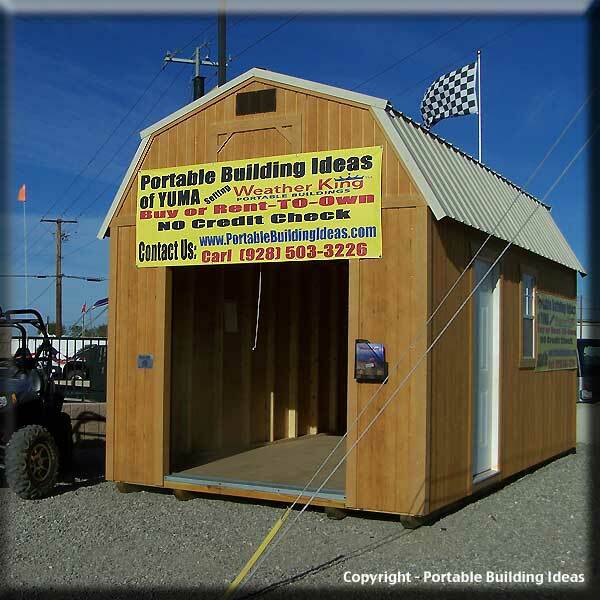 These portable buildings are designed to give lasting value and customer satisfaction. 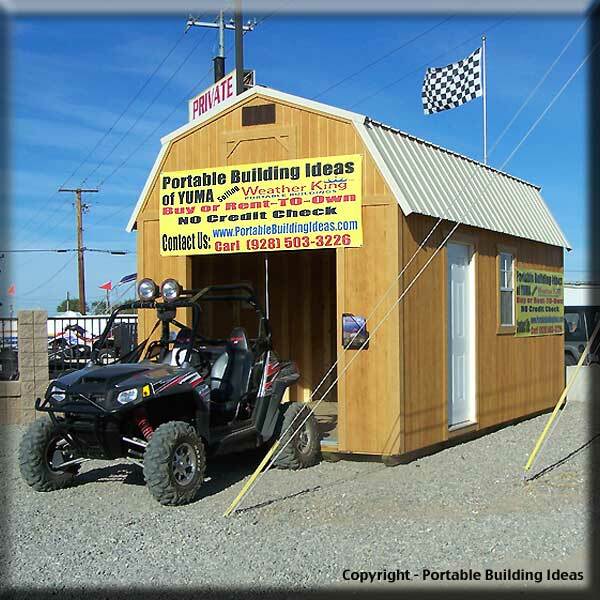 Portable Building Ideas will repair any defect that we deem to affect the function, weather proofing, and overall value of the building to our consumers for 3 years after your purchase. 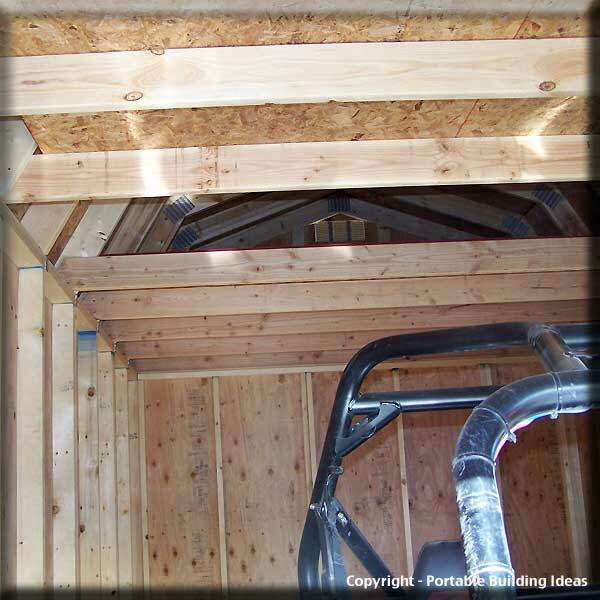 There is a lifetime warranty to the purchaser against termite damage or decay on all pressure treated lumber (flooring system and exterior of the building). 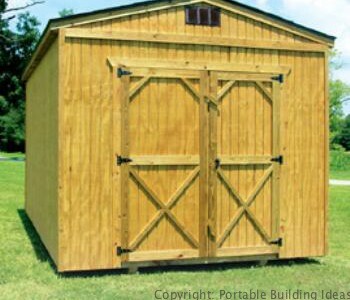 This lifetime warranty also covers any pressure treated material on, metal and vinyl buildings. 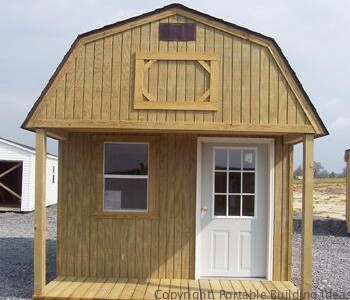 The roof for both our shingled and metal covered portable buildings come with a 30-year warranty. 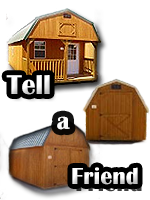 All metal buildings are constructed of 29 gauge roll-formed metal sheeting with a 20-year rust through warranty. or read and download the PDF file below. 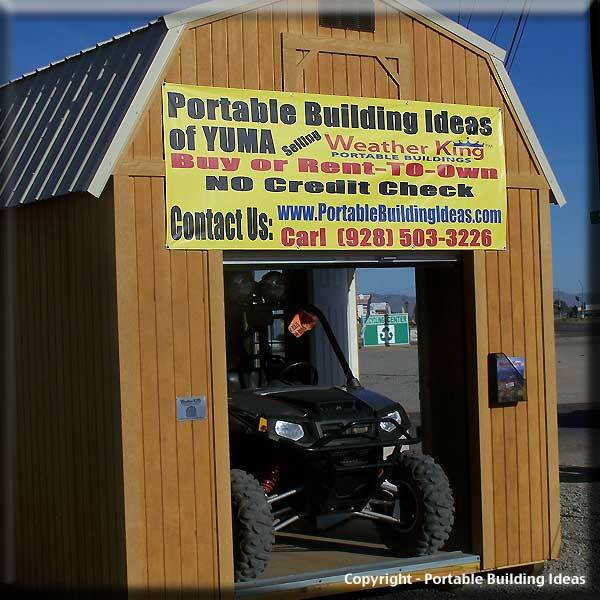 Hello to all, I would like to thank Carl Johnson of Portable Building Ideas of Yuma. I tend to be quite "to the point" about projects. After 30 plus years in the Aerospace field, I look for things to be upper scale. 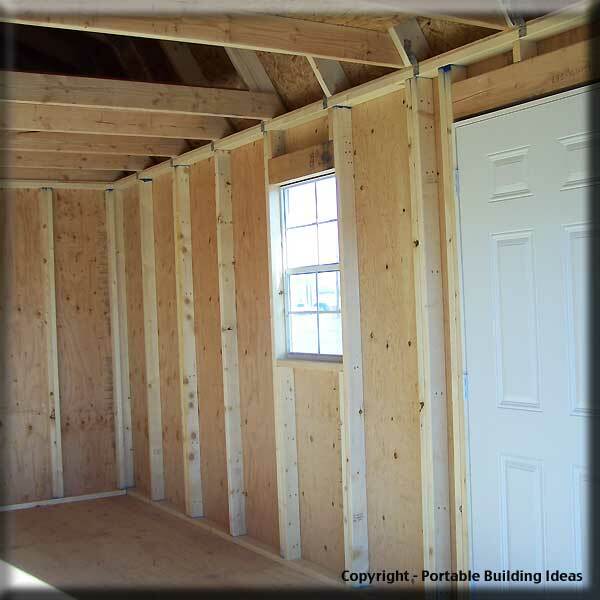 The building came in when proposed, on time and completely correct. I was very impressed with the workmanship. 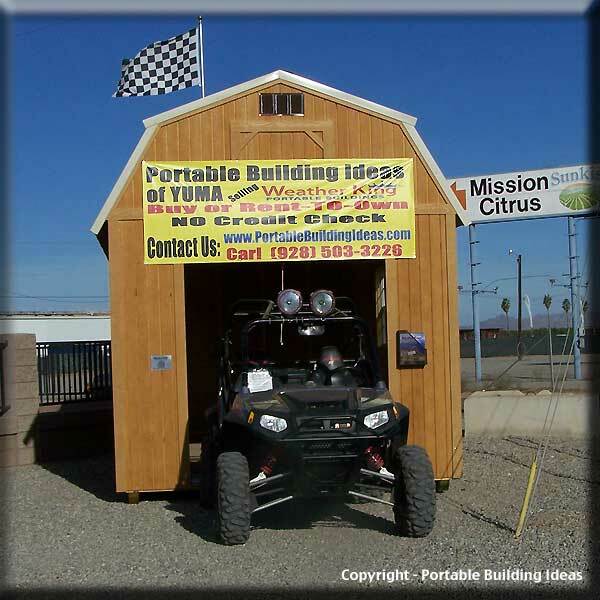 I am not new to Yuma, but am new to this type of project. Carl was extremely helpful with turning this thought process into a reality. The person who brought this building from the Phoenix area was more than a "pro" and extremely helpful. 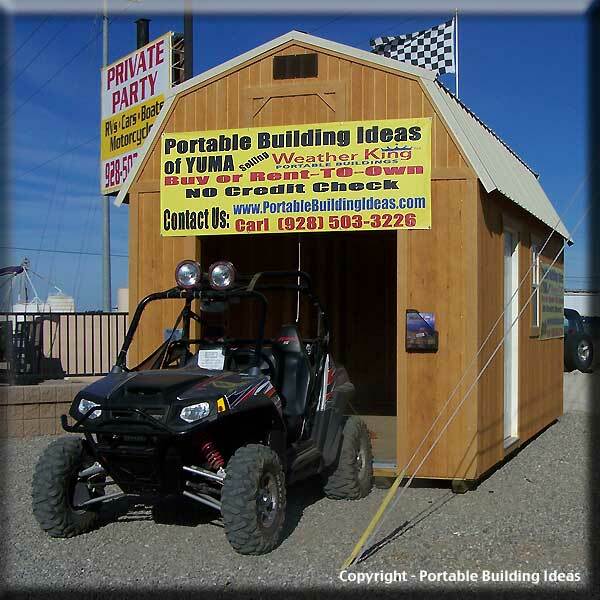 I may be picky, but with Portable Building Ideas of Yuma it was easy. 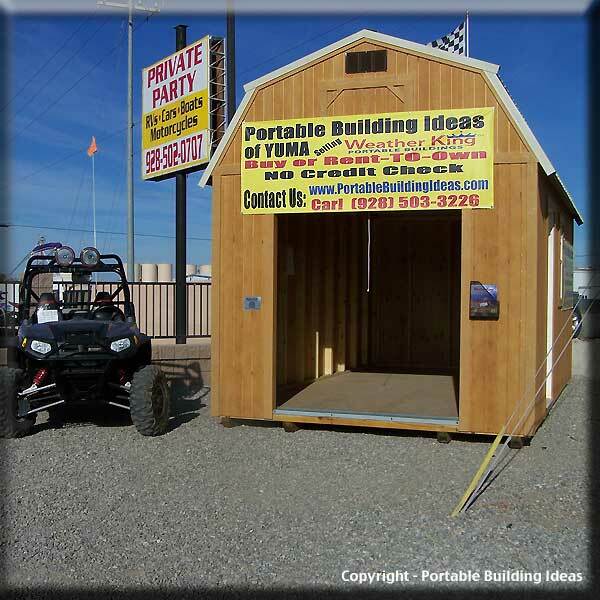 Thank you, John E.
At Portable Building Ideas we intend for you to receive a quality product, which will provide long and satisfying service. 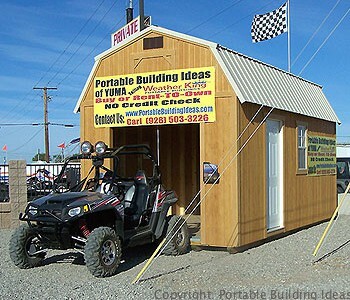 Weather King Portable Buildings was established as an alternative to mini-warehousing. 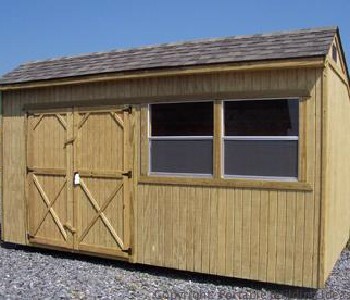 Our no strings attached plan allows you to have your own storage facility for your backyard, business or even a work at Home office when and where you need it. The low monthly rental rates are comparable to mini-warehousing rates per square foot. You are not required to fill out a credit application, nor are you required to keep your buildings. 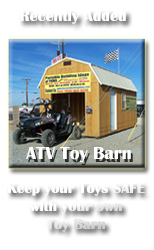 Please call us at (928) 503-3226 or use our Contact us page for any questions you might have, were always happy to assist you.